We are staying in La Serra at B&B Pimpinella. We may wish to dine in Lerici in the evenings, and we will not have a car. We do not mind walking uphill, but I wanted to ask if there are sidewalks or paths that are safe to walk along at night. If it is not a good idea to walk along these roads at night, is there a local bus? 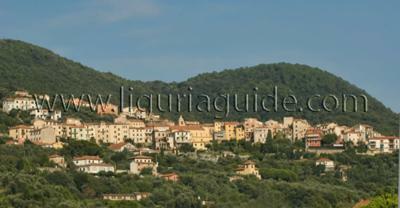 There are walking paths leading you from La Serra to Lerici which will take you about 20/30mins to walk. The area is quite safe, so you will not have problems walking around at night. There is a public transport connecting La Serra with Lerici but during the off-season there is a regular service only during the day. It is during the peak months of July and August that bus service is available in the evenings too. Comments for How easy is it to walk from La Serra to Lerici ? The walk from Lerici to La Serra was quite doable for two active youngish adults, and very well lit at night. 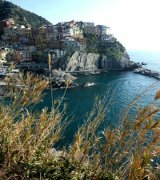 In retrospect, though, we should have made better use of the daytime bus to save our energy for the hikes in the National Park of Montemarcello -- my calves were very sore! It was worth it to stay up there though.